So, two (admittedly anonymous) ‘U.S. officials’ have now come out and said that Israel is behind the campaign to assassinate Iranian scientists. I recently got in a minor flame war on a Linkedin forum (how that happened, I can’t explain…HUGE waste of time) when I suggested that said campaign was terrorism. And that, ladies and gentlemen is the cracker-jack logic that brought you the invasion of Iraq. Well, that’s something Iran and the U.S. can agree on. The MEK has been declared by both counties (along with Iraq) as a terrorist organization. The group’s leaders had a cozy relationship with (drumroll, please)…this guy. Saddam recruited the MEK in much the same way the Israelis allegedly have, using them to fight Iranian forces during the Iran-Iraq War, a role they took on proudly. So proudly, they invited NBC News to one of their military camps outside Baghdad in 1991. Really, you can’t make this stuff up. Certainly, there can’t be any more, right? A history of killing Americans and getting on the list of terrorist organizations. Hiring themselves out to be proxies in Iraq’s war with Iran in the 1980s. Other than that, I’m sure they’re clean. Ooops…how about a side order of genocide. 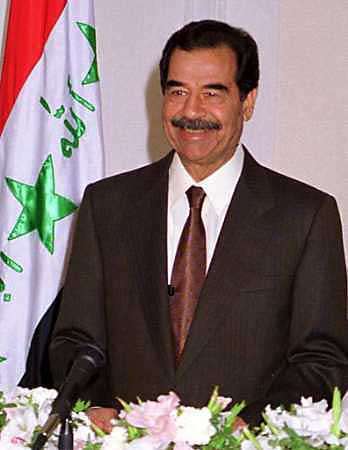 The s last major offensive reportedly was conducted against Iraqi Kurds in 1991, when it joined Saddam Hussein’s brutal repression of the Kurdish rebellion. That would be this rebellion. And we can link the MEK to the first attack on the World Trade Center and even 9/11! The U.S. suspicion of the MEK doesn’t end there. Law enforcement officials have told NBC News that in 1994, the MEK made a pact with terrorist Ramzi Yousef a year after he masterminded the first attack on the World Trade Center in New York City. So, an organization which has been hostile to American interests (both directly and indirectly) has been hired and trained by a country which has uber-ally status with the U.S. Anyone want to bet this inconvenient corner of the War on Terror will be brushed under the carpet? As usual, Paul Pillar does a great job in cutting to the chase. Amid all the reasons for dismay and outrage over this, there is also an irony. One of the oft-repeated rationales for the conventional wisdom that an Iranian nuclear weapon would be unacceptable is that it would somehow turn Iran into a regional marauder that would recklessly throw its weight around the Middle East in damaging ways. Well, there is an example of a Middle Eastern state that behaves in such a way, but it isn’t Iran. This state invades neighboring countries, ruthlessly inflicting destruction on civilian populations, and seizes and colonizes territory through military force. It also uses terrorist group proxies as well as its own agents to conduct assassinations in other countries in the region. But instead of any real examination of our policy, we can expect continued declarations that there will be ‘no daylight’ between Israel and the United States. The next time a terrorist tries to attack us we won’t have to ask ‘Why do they hate us?’ We can just look at our unquestioned support of a state sponsor of terrorism and know that it’s because of what we do.